The top reasons why Saratoga Springs is the greatest place to call home. It’s undeniable. 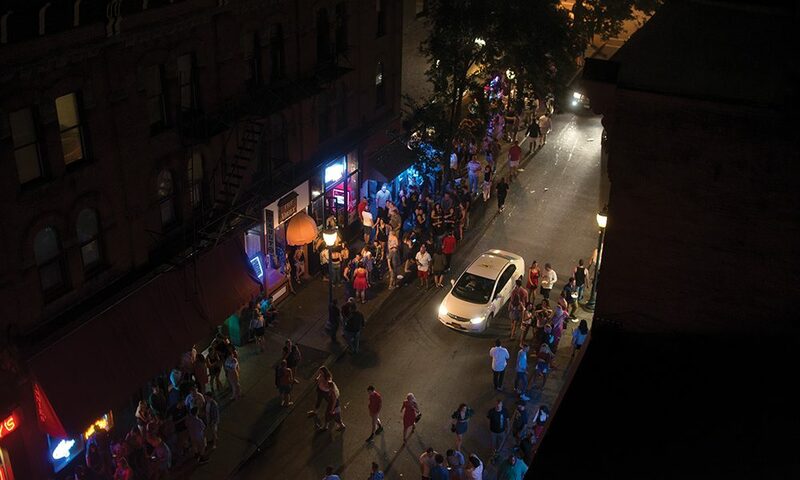 Saratoga Springs is the best small city in the Capital Region for sports, culture, nightlife and more—and we’re well aware of it. So saratoga living assembled some of its top voices to talk about the eight reasons we all love where we live. I’ve visited dozens of celebrated sporting venues as an on-assignment journalist and several more via my alter ego as a deranged fan (you don’t want to be around me if my beloved Boston Red Sox are on the short end of the stick against the New York Yankees). My professional and personal travels have led me to Fenway Park, Churchill Downs, Notre Dame Stadium, Madison Square Garden, Cameron Indoor Stadium and the Rose Bowl, among others. I’ve been to some fascinating places that have both great tradition and spellbinding ambiance, but I remain of the opinion that nothing in the world of sports holds a candle to Saratoga Race Course. Nothing. Saratoga’s hallowed history is without peer in American horse racing. Elite Thoroughbreds have been competing here since Abraham Lincoln’s presidency. Our treasured track has played host to the likes of Man O’ War, Secretariat and Affirmed, all of whom won here (and famously lost here, as well). These equine legends are still being spoken about in reverential tones decades after their glory, and Saratoga Race Course is much more than just these horses’ distinguished past; it remains a vibrant and wondrous experience imbued with the prestige that comes with the exclusivity of a six-week shelf life: We get “the season” for only 40 days. When September finally arrives, and we reach the conclusion of the annual Saratoga racing meet, we’re all a bit worse for the wear—but we continue to love it. It is uniquely us. As the track gates close following the Labor Day finale, summer fades into autumn. The Saratoga mystique, however, continues to stir our souls until the next time the noble animals return to the fabled Spa oval. On frosty winter nights, when the moon illuminates a fresh coat of sparkling snow atop the Saratoga roofline, it’s been said that it’s possible to hear the faint sound of hooves rhythmically gliding past the Grandstand toward the finish line. At Saratoga Race Course, anything seems possible. This is our “field of dreams.” It’s been that way for more than 150 years. I’ve already got next year’s Opening Day—Friday, July 19, 2019—circled on my calendar. I wouldn’t trade these six weeks for anything. Anything. Five years ago this month, I quit my job to become a full-time freelance writer. One of the first gigs I landed was interviewing musician Mike Doughty, who fronted the jazz-hip-hop-fusion band Soul Coughing (they scored a top ten single in 1998 with “Circles”). In my pre-interview research, I learned that Doughty had composed music at Saratoga Springs’ famed artists’ retreat, Yaddo. Reporting the story for The Food Network, I asked him a question that was culinary in theme—and his answer was no less fascinating now than it was back then: “The truly iconic Yaddo food item is the carrot stick,” he told me. “You get an old-style construction worker’s lunchbox and thermos of tea and coffee every day to take to your studio, and it invariably includes carrot sticks. 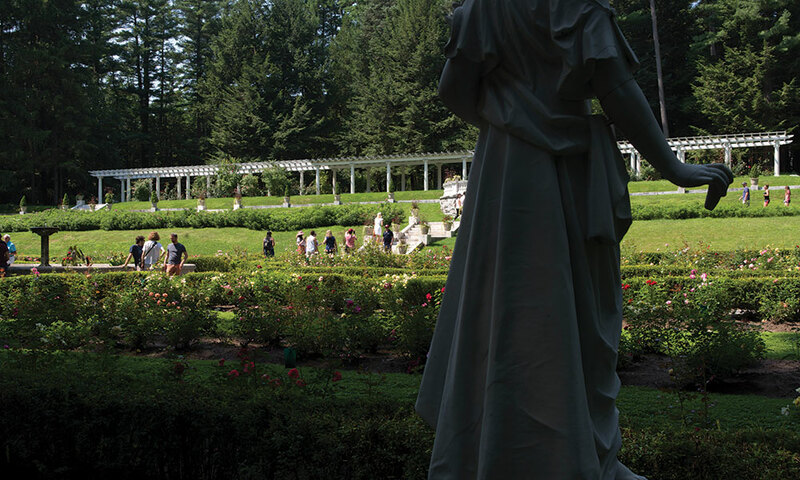 I don’t remember which writer it was, but somebody wrote that if Yaddo did some kind of Oscars thing, the statuette would have to be a golden carrot stick.” That answer re-enlivened my interest in my hometown’s most mysterious property. Ever since I did that interview with Doughty, I’ve had a singular Saratoga daydream: to someday be a guest at Yaddo. Maybe it’ll be for a future saratoga living assignment. A man can dream, no? Being an event planner myself, I’m naturally a tough critic when it comes to events: I always find myself making mental notes of things that inspire me at other foundations’ soirées. Every year, I leave Saratoga Hospital’s annual Summer Gala with a long list of mental notes: There’s just so much to love about the event of the season—actually, the entire year. 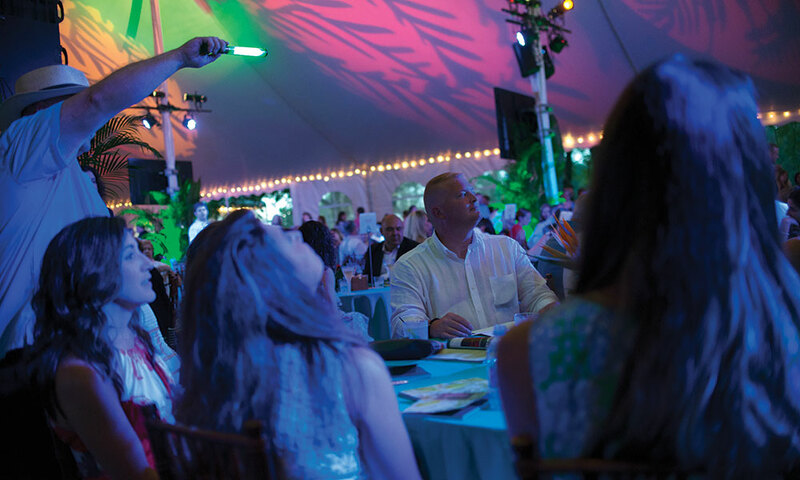 From the second you set foot in the completely transformed tent to match the year’s unique theme—2018’s was “Havana Nights”—you could tell that the planning committee put its heart and soul into every aspect of the Gala. (In other words, I have total decor envy!) Every year, the committee entertains hundreds of guests with an unbelievable live auction—I can never understand how they track down all those must-have packages—and the food has yet to disappoint. It’s safe to say that after 36 years, Saratoga Hospital’s Gala committee has mastered “the equation” for planning not only a successful event, but also one that truly stands out among the many other amazing parties held in the area throughout the year. Lastly, let’s not forget the reason for this epic annual celebration: Saratoga Hospital. Much of the hospital’s success can be attributed to the contributions of Amy Raimo, the former head of the Saratoga Hospital Foundation who died in an accident just weeks before the 2018 Gala. In a Facebook post following the tragedy, the Hospital said, in part: “Leading the Hospital’s Foundation, Amy’s incredible spirit, passion, energy, and commitment to our community and to our hospital has left an indelible mark on everything we do.” I can’t help but feel like Amy had something to do with those dark, rain-filled skies dissolving away just in time for guests to enjoy this year’s Gala. I’d like a Saratoga cocktail, please. You know, the one with the magnesium, potassium and lithium. Yeah, I’m one of those people who sips the zesty mineral waters that bubble up in Saratoga Spa State Park. My favorite mineral martini spews from Hayes Well Spring, which you’ll find near Geyser Island Spouter, a geological wonder that looks like a big rock dome. I belly up to the bar, a stone block studded with spouts, and the fizzy water burps into my clear plastic cup. As I slowly imbibe, the pungent potion tingles the tongue and tickles the senses. The deeper the spring, the stronger the taste. To me, it’s a delicious tonic, a lip-smacking elixir. Others find it repulsive. But with 12 springs on the drink menu, they can always select a different, milder cocktail. Saratoga Springs is the only place east of the Mississippi where you’ll find cold, naturally carbonated mineral water. Can you think of another town where a free, refreshing (and perhaps healthful) beverage is available, self-serve, 24/7, in every season around Downtown and in the piney woods of a beautiful nearby park? At Roosevelt Baths & Spa, one can de-stress in a deep tub of effervescence. And soon, the Roosevelt II Bathhouse, closed since the 1980s, will reopen as a health and wellness center. Our water isn’t just for local, personal enjoyment; it’s also become a famous tipple out there in the world. Saratoga Spring Water, in the classy cobalt-blue bottle, is poured in hotels and restaurants across the country and in the Caribbean, China, Hong Kong and Taiwan. George Washington drank from High Rock Spring (next to the Saratoga Farmers’ Market), and President Obama toasted his second term with it. Algonquian-speaking Native Americans believed that the Great Spirit Manitou stirred the waters, making them magical and curative, and until the mid-20th century, the waters were used as medicine for nervous disorders, arthritis, gout, indigestion, constipation and heart disease. Doctors even prescribed baths, and bottled waters were sold in pharmacies and on trains. At One Roof, a local holistic health center, founder Selma Nemer once told me that Saratoga’s water and its healthful properties are everywhere, whether you’re aware of them or not. “The healing waters are running under this city,” she said. “They’re under all our buildings.” I’ll drink to that. And keep those Saratoga cocktails flowing, I say. This is going to sound a little bit snobbish, but growing up in Saratoga Springs, the town of Malta was never a place I made a concerted effort to go to on a regular basis. Save maybe to catch the occasional movie at the Malta Drive-In, for me it wasn’t much of a destination. It was kind of just there. These days, there are thousands of people who’d take exception with that perspective—and for good reason. That’s because in 2009, international tech giant GLOBALFOUNDRIES broke ground in Malta on what has become one the world’s leading semiconductor (or chip) plants, part of a global network that includes a corporate headquarters in Silicon Valley and manufacturing hubs in Singapore; Germany; Essex Junction, VT; and East Fishkill, NY. Known as Fab 8, Malta’s state-of-the-art chip-making facility, which officially opened for business in 2012, has 460,000 square feet of cleanroom space—an airtight, contaminant-free area where the chips get produced by workers in Dr. No-like lab gear—and 2.4 million additional square feet to support all of its weighty infrastructure. 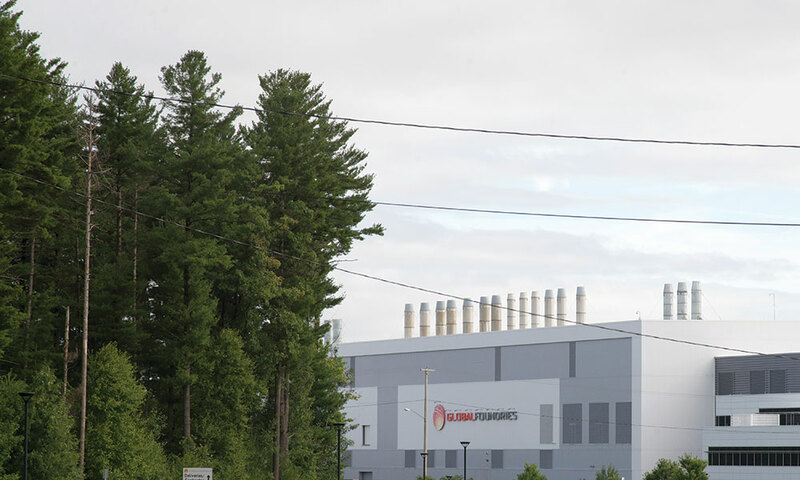 All told, GLOBALFOUNDRIES has made a $12 billion investment in the area and pays out more than $300 million in salaries, according to Forbes. Look, nobody can beat Saratoga’s entertainment venues—the racetrack or SPAC (both of which made this list)—but in sheer tech know-how and worldwide manufacturing prestige, it’s hard to beat GLOBALFOUNDRIES. Even though I still don’t find myself in Malta all that often, when I’m there, I always get this nagging sense of chip-envy. 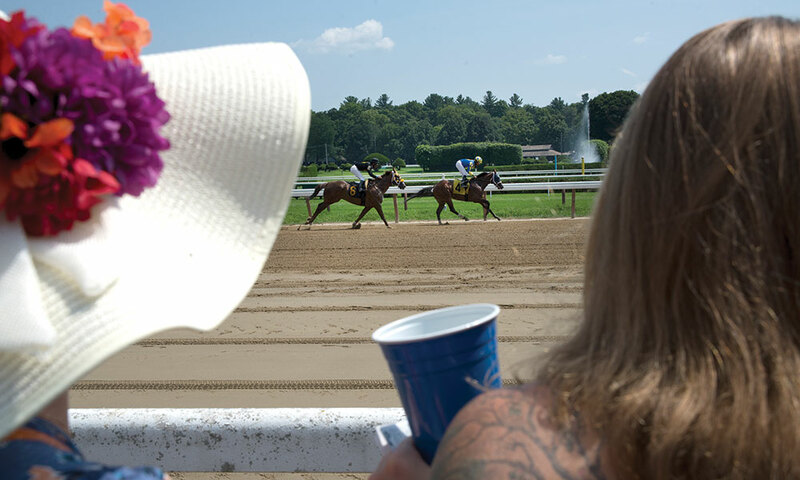 What if, after a day spent in the Executive Box at the Saratoga Race Course, sipping Twisted Tea and betting your money away, you turned in for the night right after the tenth race? What if, after dropping $45 on three Bud Light Limes at the sold-out Imagine Dragons concert at the Saratoga Performing Arts Center, you went straight home after the encore? 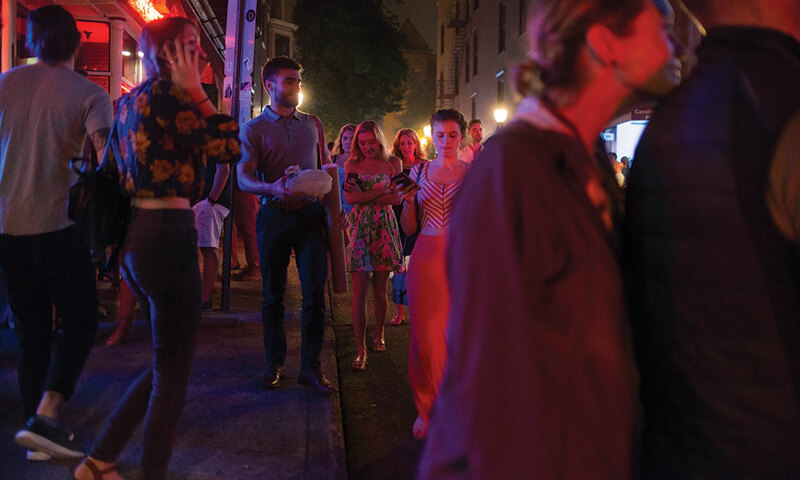 As unimaginable as these scenarios sound, they could be a reality if it wasn’t for the Saratoga Springs social scene stalwart, the place that keeps us going late into the night and our after hours home base: Caroline Street. But even if there are too many bars, something’s kept Stanley on Caroline Street since the beginning. And I suspect that same something will keep me coming back, too, long after my 23rd birthday. Because, after all, there’s something for everybody. The first time I stepped through the massive walnut front door into the foyer of a house on North Broadway, it felt magical. It was 2005, and I was visiting Saratoga to find a place to live before my two young sons started school. I was invited to a dinner party in a 10,000-square-foot Victorian mansion to celebrate the opening of the New York City Ballet’s run in Saratoga. Truthfully, it was sort of a date, but I simply wanted to see the house. A short walk from Downtown Saratoga Springs and bookended between bustling Broadway and the main entrance to Skidmore College’s campus is the residential section of the Broadway historic district, which includes the most coveted addresses in Saratoga. 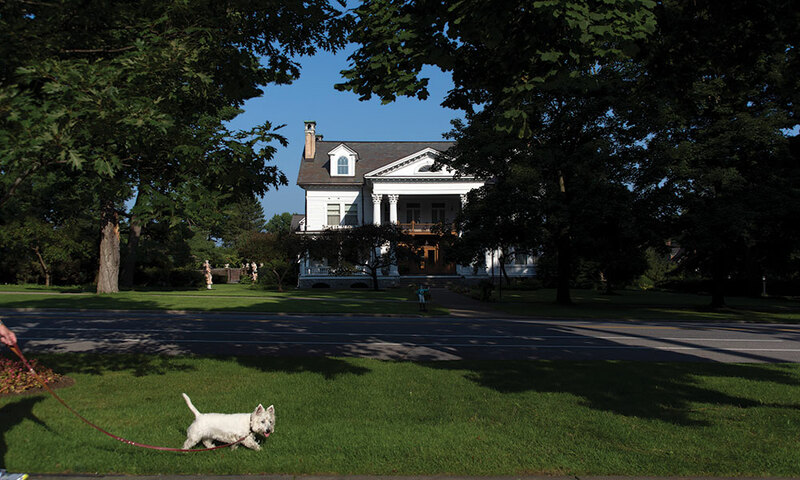 Primarily built as summer “cottages” by wealthy city residents who came to soak in the mineral baths and get away for the season—and marked by large, meticulously landscaped lots—North Broadway’s houses boast exceptional trim and architectural decoration. These grand homes, most of them erected during the building boom of the late 1800s in the High Victorian style, sit, regally, back from the wide corridor of North Broadway, reminding us of a more elegant time, as I was reminded, that magical evening 13 years ago. I recently ran into that first Saratoga “date” again. We reminisced about the dinner party; he recalled the fine wine, while I admitted to admiring the stunning French flocked wall-covering and matching silk velvet custom-tufted sofas. He went on to say that it had been a lovely evening, while I thought back to the sprawling front porch, original wood trim and fine art collection. Ultimately, he became someone else’s Prince Charming, but that night, I fell in love, not with him, but with North Broadway. I will always have a special place in my heart for the Saratoga Performing Arts Center (SPAC). Not only because it’s where I’ve seen a couple of the best shows in my life, but also because it’s where I graduated from Skidmore College. I’ll never forget running from the packed amphitheater after the ceremony through a cold May downpour, my diploma in one hand, my girlfriend gripping the other. SPAC will forever be that place. But I’m just one of many people who’ve had the chance to create irreplaceable memories there over the years. First opening on July 9, 1966, with a performance of George Balanchine’s A Midsummer Night’s Dream, SPAC was originally conceived of as a summer residence for the New York City Ballet (NYCB), The Philadelphia Orchestra and other classical institutions and composers from across the country. Almost exactly a year later, however, legendary calypso singer Harry Belafonte became the first nonclassical musician to perform at SPAC—and the venue soon welcomed in a younger, hipper crowd. 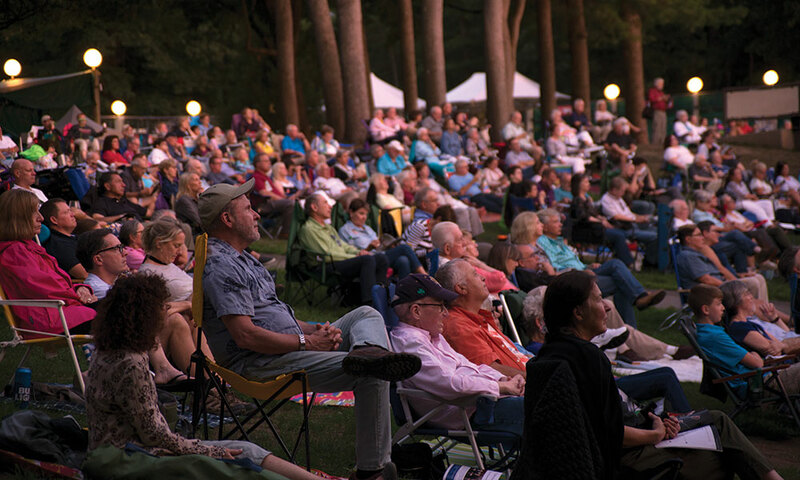 Since then, SPAC has become a go-to destination for both the classical and pop music worlds. Sobol and company must be doing something right. This season alone, I felt like I saw a decade’s worth of great concerts—and I can’t wait to see what SPAC has up its sleeve next summer. Admit it—you can’t either. Can’t get enough of Saratoga? 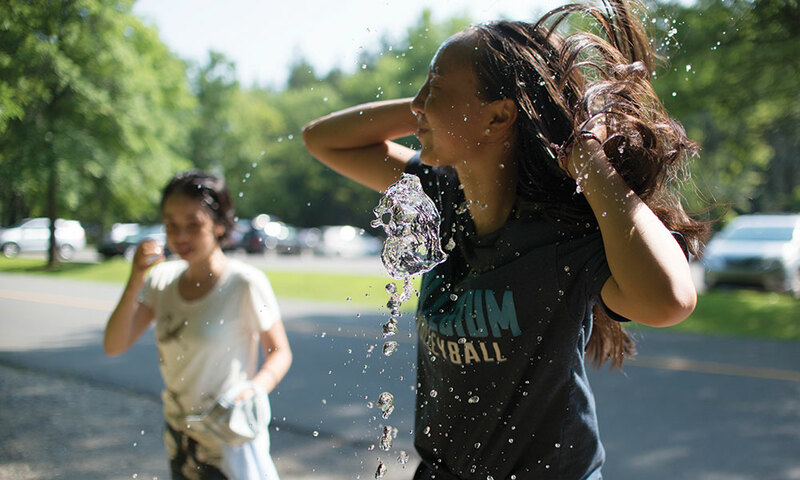 Read “8 More Reasons To Love Where You Live” here.